The Minnesota Wild won at their home away from home on Saturday night. Led by netminder Darcy Kuemper the Wild blanked the Colorado Avalanche for the second straight game. While it wasn’t the dominating performance that we saw in game one versus the Avalanche, the Wild showed some grit, determination and perseverance to win at the Pepsi Center, a place they love to win at. We can go all the way back to the 2003 playoff series against the Avalanche to see how the Wild wins big games in Denver. The Wild were down three games to one before they defeated Colorado in game 7. Fast forward to the first round of the playoffs against the Colorado avalanche this past spring. The Wild were down in the series but forced a game 7 in Denver where they won the series in Overtime. It has become apparent that the Wild love to win big games at the Pepsi Center. I think the Avalanche should put a caption below the Pepsi Center sign to read “Minnesota Wild home away from home”. OK. That was a low blow but you get the point. Darcy Kuemper followed his 16 save shutout in game one with a 30 save shutout in game two. Unlike game one where Darcy barely had to work, game two provided Darcy with lots of work and pressure from the Colorado Avalanche. The Wild expected Colorado to follow up their dud of a performance with an energetic and high tempo game. Darcy had an answer for every Colorado scoring attempt. Mike Greenlay of Fox Sports North said it best when he said that Kuemper was in control of the saves he made, directing rebounds to sharp angles, taking away scoring chances from Colorado. It was evident to this Wild fan that Kuemper was in complete control between the pipes. Kuemper’s play provides a lot of confidence to his teammates. It allows them to focus on scoring goals and playing well on defense. Kuemper has looked good through two games and has earned the right to be the starter for the Minnesota Wild. I hope that he can follow this performance with another great one when the Wild face the Anaheim Ducks next Friday night. Last season the big issue with the Wild was their inability to score goals. That inability to score goals was a direct result of the Minnesota Wild not having enough shots on goal. Through two games, the Wild seem to have solved that issue. The Wild followed game one’s 48 shots with 34 in game two. The Wild has four lines that can score goals. That has been evident in both games. The Wild have scored eight goals through two games. They have been led by the Parise line but their young guns are proving to be more than just a support cast. The Wild have a bright future with Mikael Granlund, Nino Neiderreiter, Erik Haula, Charlie Coyle and the rest of the Wild’s youth alliance. Mike Yeo has done a great job so far this season. It seems that every move he makes is a winner. One of the moved that proved that point came when the Wild’s second line was having trouble netting a goal. Mike Yeo decided to insert Jason Zucker (another young gun) with Thomas Vanek. Yeo was rewarded with a goal when Thomas Vanek made an incredible pass to Zucker who buried the puck behind Varlamov. It was nice to see Zucker being productive in game two. I’ve felt that Zucker has promise but at times last season, Yeo seemed frustrated with the development of Zucker. Yeo gave him a shot and Zucker rewarded him. Hopefully that continues for the rest of the season. 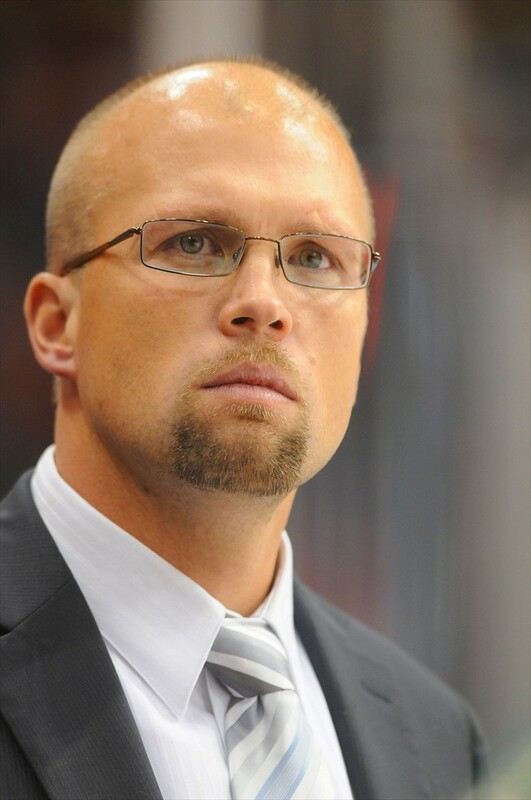 Mike Yeo entered the season wanting his forwards to buy into his defensive plan. That plan includes forwards doing their job in the defensive zone. He wants the defensive zone to be taken care of before the forwards move up ice. The players have bought into that plan so far and that has allowed the Wild’s transition game to be successful. All in all the first two games have been fun to watch. The Wild has followed a great 2013/14 defensive campaign with great performances in the first two games. The Wild are scoring goals and putting lots of pressure on the opposing goalie. Sure the season is only two games old but the Wild are showing signs that they are a greatly improved team.